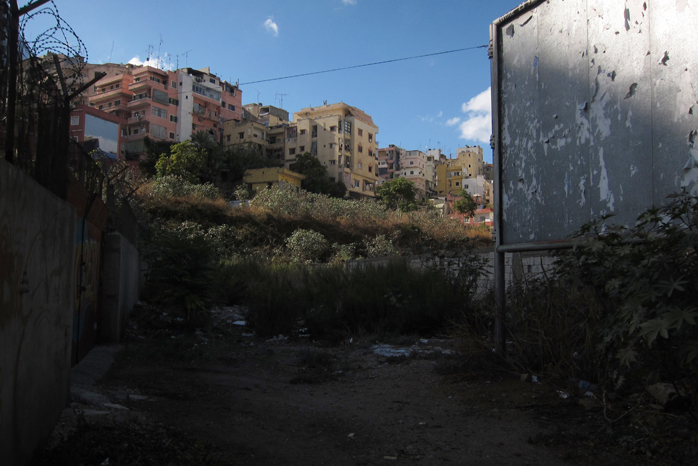 According to the script, our embraces become endangered here: where barbed wire and withered billboard frame an entrance to the militarized city. 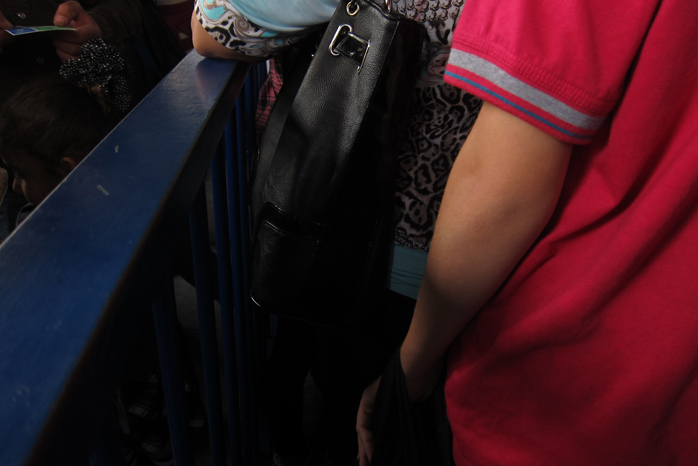 Lines are broad and narrow, shown here (and here) in blue: railing to the left, stripe on the sleeve of a pink shirt to the right. The lines transpose to frame a winding human queue. Your breath travels to the border of my skin; we are separated by metal railings, waiting to gain entry to the militarized city.